Flojet's ultra-efficient, "stand-up-to-anything" G57 pump has become an industry leader. And now Flojet has raised the bar on pump performance even higher with the G57 Two-Pump system. The Two-Pump system delivers flows of up to 10 GPM. 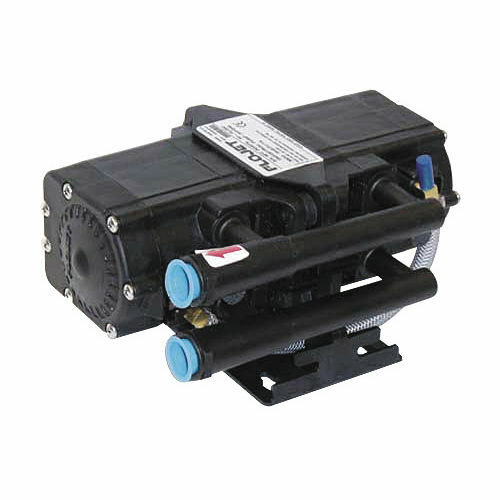 The G57 Two pump system is ideal for a host of heavy-duty industrial applications. These air-operated pumps are fitted with Santoprene or Viton elastomers to handle even the harshest cleaners and solvents. A patented ceramic shuttle valve ensures I a lifetime of stall-free operation.Flojet's commitment to sophisticated engineering and advanced design means you can depend on these pumps to consistently, reliably deliver the highest in performance with minimal servicing, saving you time and money.